Fall ushers in the seasonal holidays and classroom teachers and students are eager to capture the spirit of the holidays. It is very easy to incorporate mathematical concepts and skills built around these common themes. Whatever concept your class is currently developing, there are fun ways to incorporate math: estimation, measurement, basic facts, problem solving, discrete math, probability, graphing, data collection, geometry, etc. When planning seasonal activities, be sure that the activity is mathematically rich and supports student learning or provides additional practice of basic facts and other skills. Appropriate seasonal activities are so much more than pumpkins on a worksheet! Whether you match standards activities to your current unit of study, or add some seasonal math games to your math center or game day, students will enjoy the thematic approach. Look through all of the Mathwire Seasonal Math Activities. Students roll a die to see how many insects their bat eats. 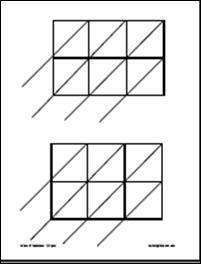 Students may continue rolling, in this Bat version of Pig, until they elect to stop, or until they roll a 1. But be careful! If your bat is still eating (collecting points) when a one is tossed, you are a Fat Bat and lose all of your points for that round. This game is designed to provide a fun experience in the experimental probability of a single die toss. However, students get lots of practice adding a string of single digit numbers, as they total up their winning points for each round. A data analysis option is included to formally extend the analysis of the game's probability for older students. 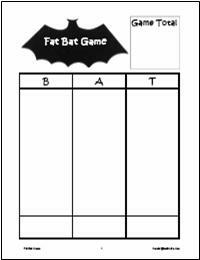 Download Fat Bat for the student recording sheet, directions for whole class play, and data analysis option for extending the game. Teachers who regularly use math templates include planned task items that assess student proficiency. Careful observation of student responses allows teachers to form flexible small groups for additional instruction or enrichment and also better plan for instruction. 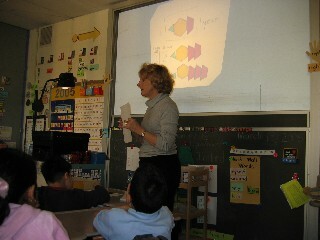 Student Use of Templates: Mathwire templates are designed to be inserted into a clear sheet protector for student use. Students use dry erase markers and erasers to work on the templates. 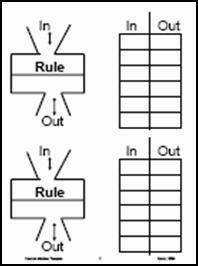 Students may easily store current templates in their desks for easy retrieval. 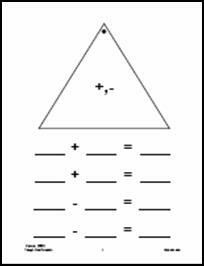 Teacher Use of Templates: Mathwire templates may be copied onto transparencies for use on the overhead. Insert the transparency into a sheet protector so that the teacher may also use dry erase markers and erasers. This practice keeps transparencies clean and clear for multiple uses. Many teachers keep a binder of transparencies, ready for use. See Active Participation: Using Math Templates for additional active participation strategies using templates. Check out the Mathwire Template Library for additional math templates ready to download for use in your classroom. It's always an effective practice for students to come to the overhead to explain how they found an answer or to write in the correct answers. 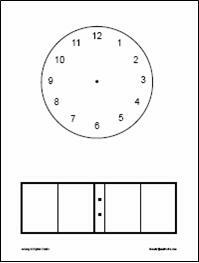 Save the "dead time" of copying by having the student remove his/her template from its sheet protector. The student may simply place his/her sheet protector over the teacher transparency on the overhead. Voila! The student may instantly present his/her work to classmates with no waiting. 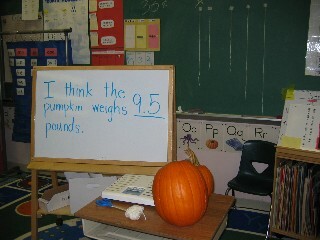 Instead, he/she concentrates on explaining and answering questions from classmates.